St. Patrick’s Day: a holiday where “everybody’s Irish” and people guzzle green beer with their corned beef and cabbage. But this traditionally boozy day is also a very dangerous one when it comes to drinking and driving. And with St. Paddy’s Day falling on a Saturday this year, the fourth most popular drinking day is bound to be extra unlucky for those who choose to get behind the wheel after drinking a pint (or several). 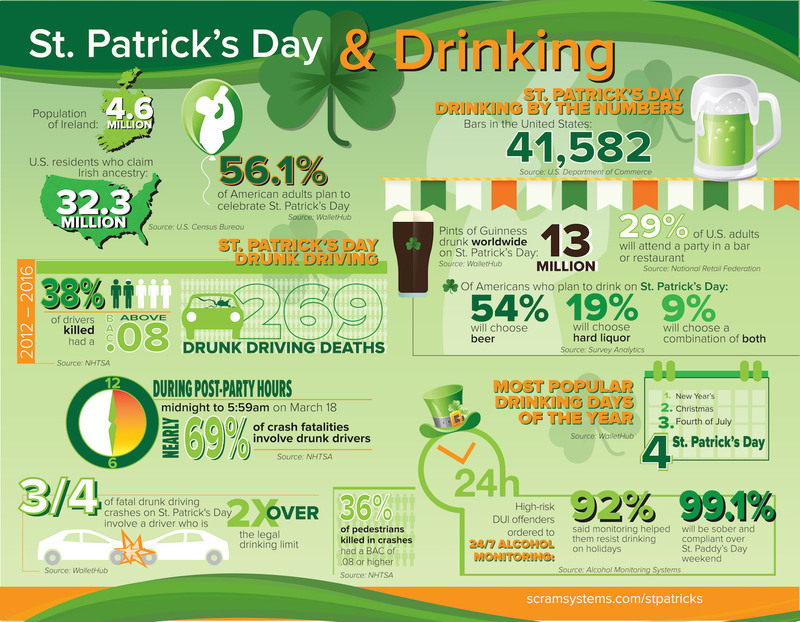 Take a look at this free downloadable infographic highlighting the shocking statistics of St. Patrick’s Day drinking and driving. You don’t want to push your luck this St. Paddy’s Day—plan your sober ride home in advance. The post Surprising Stats About St. Patrick’s Day & Drinking appeared first on Sobering Up.